Diesel is one of the most creative brands in the modern fashion. Founder just a bit over 20 years ago by two entrepreneurs who are not fashion designers, Diesel took the world by storm with it’s creative advertising focused on young people. The chief designer for Diesel Wilbert Das is creating for the company since inception. Perhaps he is the reason why Diesel is so consistent in their fashion focus and over the years Diesel developed its own style. There actually is such a thing as Diesel style. 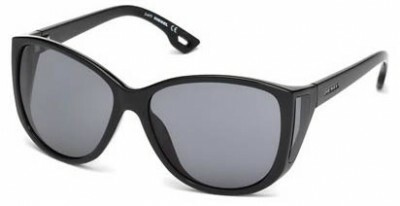 Diesel sunglasses is a new addition to Diesel products. Latest funny Diesel ads are mentioning word stupid as compared to smart trying to show that stupid is creative, risk taker and winner when smart is just lazy and one who never tries.